Bob “The Beast” Sapp (16-5-1) will stand in for an injured Gegard Mousasi to face Rameau Thierry Sokoudjou in the semifinals of Dream’s Super Hulk Tournament Oct. 6 at Dream 11. Sapp (16-5-1), who lost to Ikuhisa Minowa in the opening round of the tournament at Dream 9, confirmed the fight to MMAWeekly.com on Wednesday. Ikuhisa Minowa vs. Hong Man Choi fills the opposite bracket of the heavily weighted tournament. The fill-in is just one of four professional engagements Sapp said is either done or close to done on his immediate schedule. The day after his Dream booking, he is set for a kickboxing match against Alain “The Panther” Ngalani in Hong Kong. 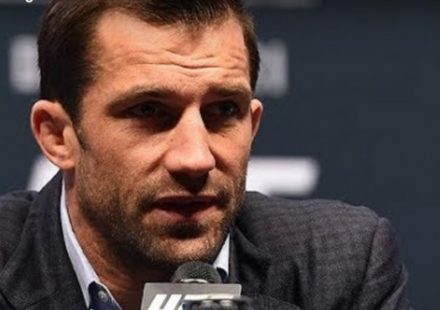 The weekend after that, he’s working on an MMA fight in Texas that is “80 percent done.” Then, in late October, he plans to go back to Korea for a pro wrestling engagement, with more globetrotting in the pipeline for November and December. On Thursday, “The Beast” will head south from his home state of Washington to Lakewood, Calif., for training with Antonio McKee at The Body Shop. “I’ve been in the (training) mode already,” continued Sapp. “(McKee) really pushes me forward on conditioning. That’s who I really need to get me to do something like this. 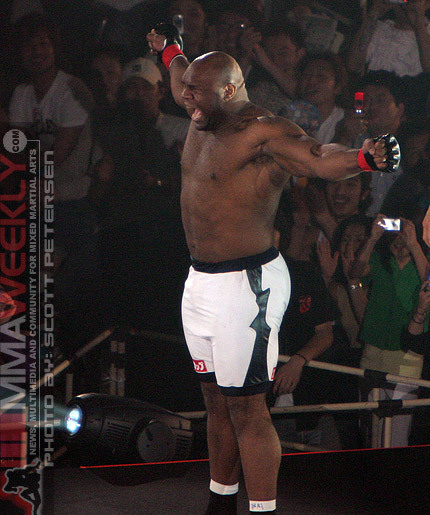 If victorious, Sapp will face the winner of Minowa vs. Choi at Dynamite! on New Year’s Eve. If not, he hints at another option. “If Sokoudjou wins… I’ll probably be fighting a celebrity (at Dynamite),” he said.